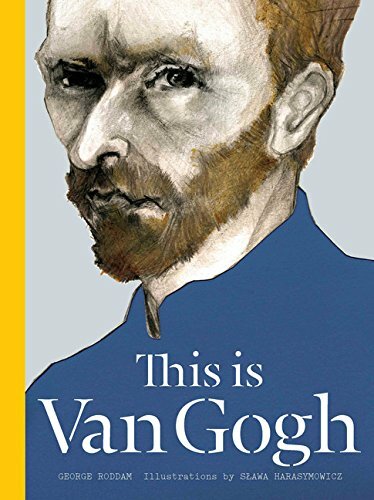 This condensed monograph tells the story of the famous Vincent Van Gogh. I've always found Van Gogh's story to be more tragic than other artists. Of course, what could be more depressing than a depressed artist who took his own life in the end, just as his reputation started to grow. It's a good and quick read at only 80 pages. The text is by George Roddam and illustrations by Slawa Harasymowicz. Prior to this book, I've also reviewed the ones for Henri Mattise, Paul Cezanne, Jackon Pollock and Dali.